Tuesday, June 20: a disappointing start to the day’s botanizing. 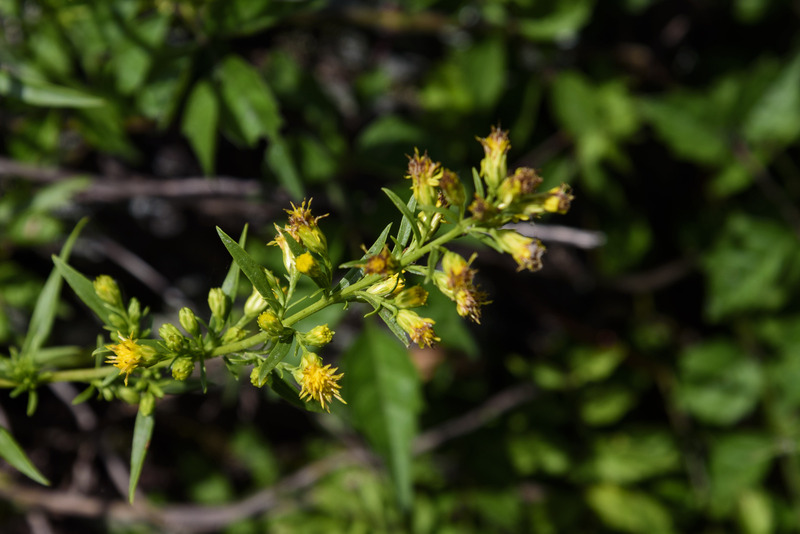 The river was finally low enough to allow me to get out to my favorite bedrock terrace, but very little was actually blooming there, except an invasive alien St. John’s wort and, bizarrely, this goldenrod. Um…. it’s still June, y’all! From there I went in search of basil balm; I found the plants, but nope, not blooming yet. 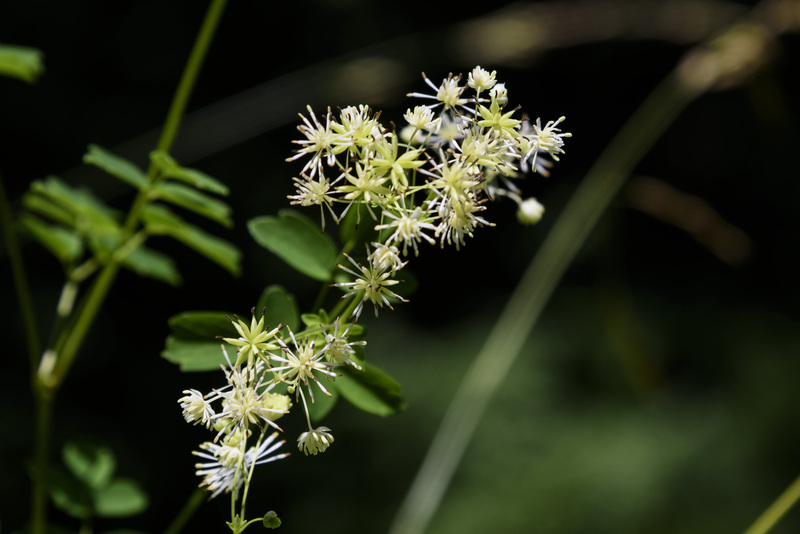 This is Thalictrum pubescens (Ranunculaceae), commonly known as tall meadow rue or king of the meadow. 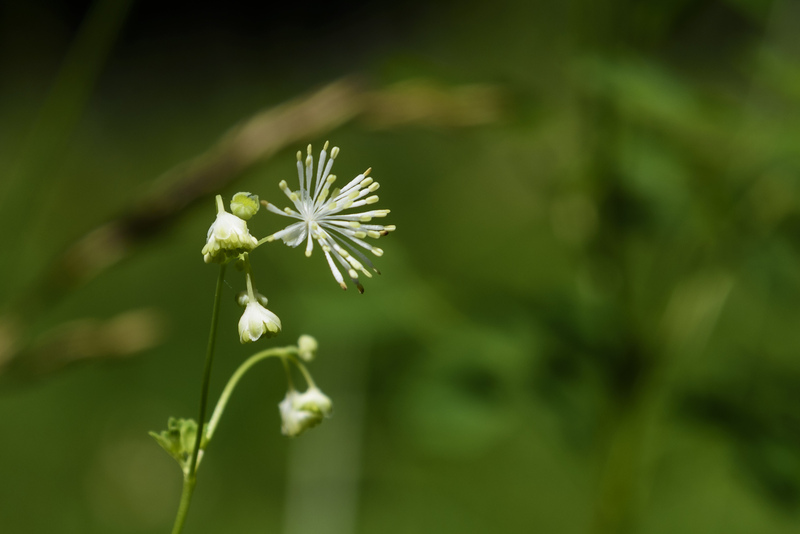 It’s easily identified in Maryland, as it’s the only Thalictrum here whose stamens stand upright (other bisexual Thalictrums have drooping stamens). 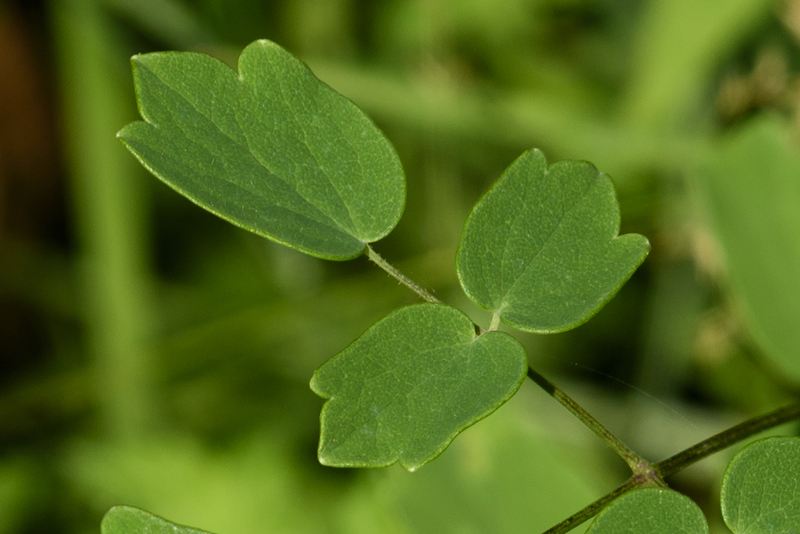 It has a typical Thalictrum compound leaf. Notice how each little subleaflet has three lobes. 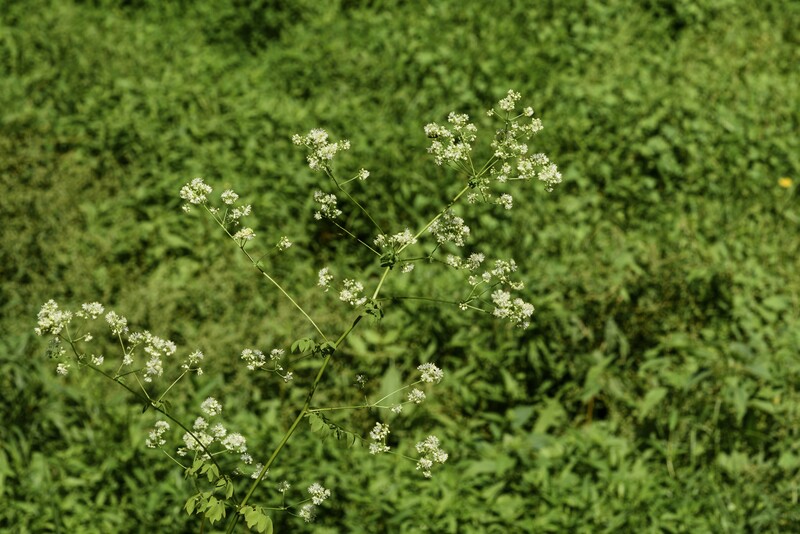 Tall meadow rue is polygamo-dioecious: each plant bears either male or female flowers, except for some plants which bear both male and bisexual flowers. This is a male flower [right], consisting only of sepals and stamens (no petals). Typically there are four or five sepals, and many stamens. Many of these [left] are bisexual flowers, with both stamens and pistils. Typically there will be anywhere from four to fifteen pistils. 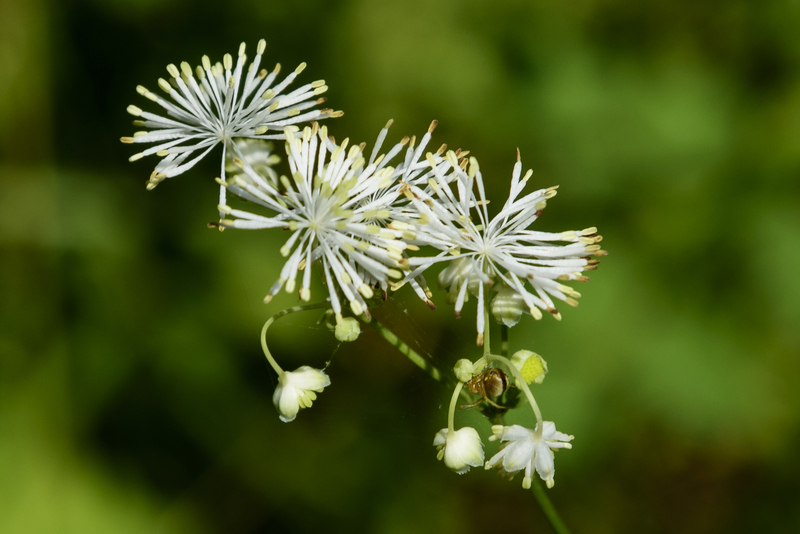 Tall meadow rue grows mostly in New England and the Mid-Atlantic, and in some parts of the South and Mid-West. It’s threatened in Indiana. The Maryland Biodiversity Project has records for it in every county except Washington and Somerset. 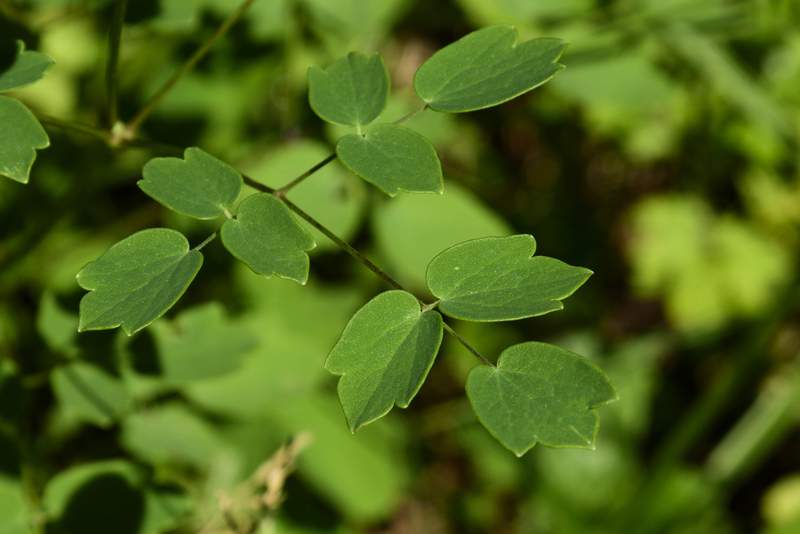 Look for it growing in wet areas, in sun or shade. Along the banks of the C&O Canal, for example. 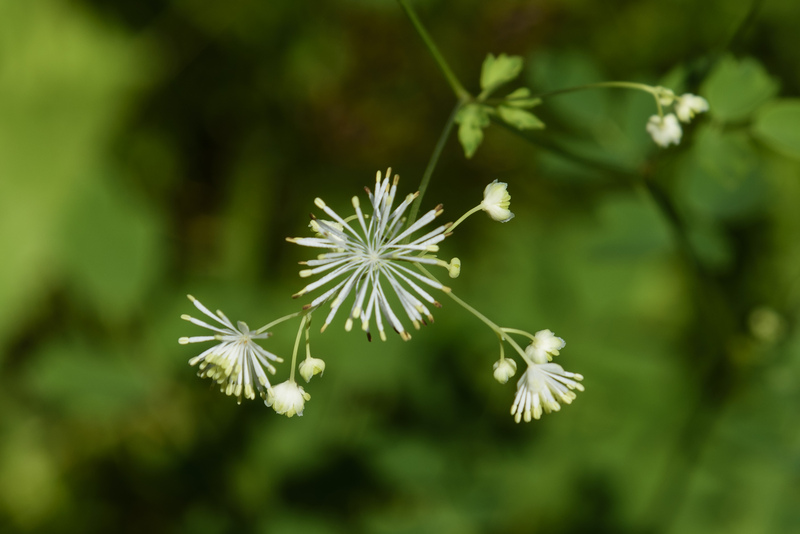 This entry was posted in Uncategorized and tagged ranunculaceae, Thalictrum by elizabeth. Bookmark the permalink.